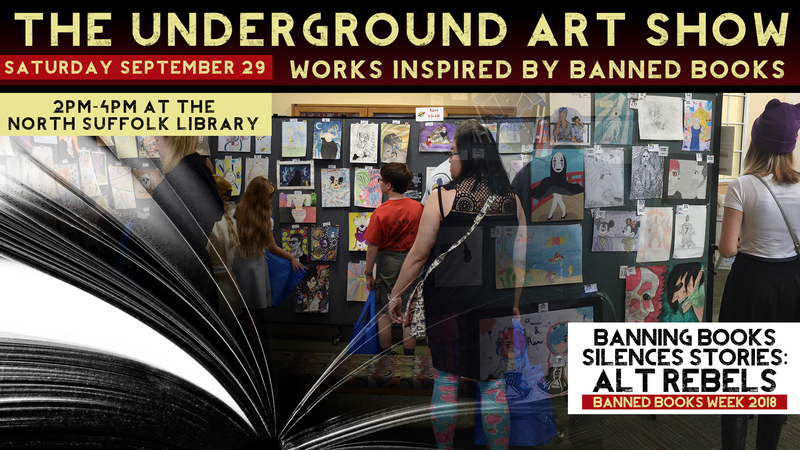 On this date, we challenge all ages to create a piece of art based off of a banned book for an open reception where all the art will be displayed, judged, and winners will receive a prize. Passive art-making stations will also be set up. Art submissions will be accepted September 1st through the 28th at all three branches. You will be asked to fill out a submission form when dropping off your piece.